DUBLIN – Will you eat something out from a printing machine? A new technology is out in the market; a 3D printer for food. The company Natural Machines has introduced this machine called ‘Foodini’ to hasten the preparation in complex dishes like pizza or filled pasta. ‘Foodini’ is just like any other 3D printer; however, instead of printing with plastics, it disposes edible ingredients out from stainless steel capsules. According to Lynette Kucsma, co-founder of Natural Machines, the ‘Foodini’ is the same with the 3D printing technology, but with the food printer, there are different temperatures, consistencies and textures. She added that gravity works a little bit against them since food does not hold the shape as good as plastic. At the Web Summit technology conference in Dublin, the company showed off the capability of the printer to deploy wide range of dishes. 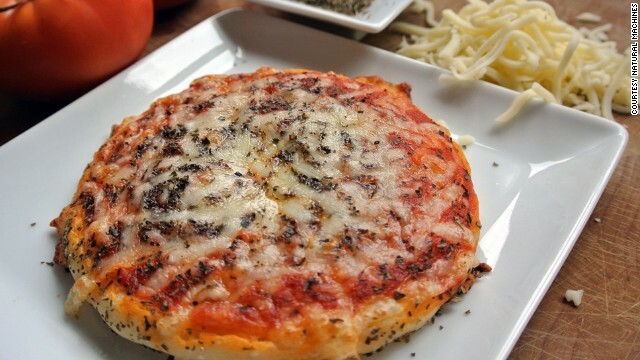 It was able to print ravioli, cookies, pizza and other dishes. The printed food were then cooked after. Kucsma said that, in essence, the Foodini is a mini food manufacturing plant, only it is shrunk down to the size of an oven. It is basically designed to take care of difficult and time-consuming parts of food preparation and promotes healthy eating. The company is working with major food manufacturers to create pre-packaged plastic capsules that can be loaded into the food machine which are free of preservatives and will have a shelf life of maximum of five days. As for its initial release, the company targets mostly professional kitchen users, then later will manufacture a consumer version. The projected retail price is around at $1,000. 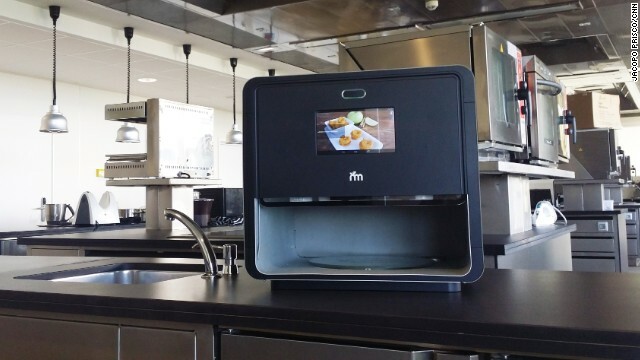 While the Foodini is designed to only print food for cooking, the manufacturers are working on a model which can cook the prepared ingredients and produce a ready-to-eat food. In addition, the company thinks of creating a touchscreen on the front of the printer to allow the consumers to choose the recipes they want, online. Users will also be able to control the device through a smartphone and will enable them to share recipes with their community. Currently, the company is completing a round of financing and plans to manufacture the food machine early next year.